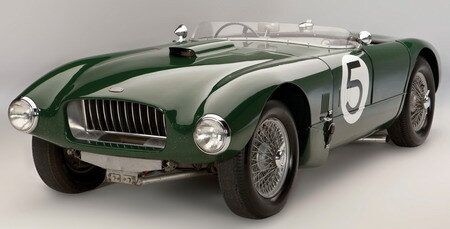 This is probably one of my most favorite Allards, JR-3403...just one of 7 built. The car was raced at Le Mans in 1953 by Zora Arkus Duntov and Ray Merrick for 65 laps before retiring. After Le Mans, the car was sold to Col. Reade Tilley of the Strategic Air Command. This JR (also called a J2R) is ready to race and it will likely gain the new owner entry into the most premier vintage race & rally events around the world. To learn more about the car, click here to view the RM post. The car will be sold as lot #115 on Friday January 18. The estimated selling price is $350-450,000, which I believe to be fairly modest. With the right bidders, this car could double that estimate and be worth every penny.